Avengers: Endgame has been wiring anticipation and creating a buzz across the quarters. The global fans are rooting for the film release and with every passing day, the wait is becoming unbearable. Endgame is an answer to bringing back the lost superheroes, which were wiped away in Avengers: Infinity War. The movie is all set to hit the theatres on April 26 and while the release is two weeks away, the advance booking has already begun. Surprisingly, the advance booking is already breaking records since it was started on Tuesday and fans in huge numbers flocked to sites like Fandango and AMC to grab their tickets. Avengers: Endgame New TV Spot: 'This is the Fight of our Lives', Says Captain America and We're Pumped Up Already - Watch Video. As soon as the pre-sale went online, Avengers: Endgame shattered the first-day pre-sales of Star Wars: The Force Awakens, in a matter of six hours. Furthermore, the ticket sale on Atom Tickets was nearly twice as the sale of Aquaman, Star Wars: The Last Jedi, Avengers: Infinity War and Captain Marvel combined. Going by the pre-sale records, it is quite clear that the movie will drop as a blockbuster hit and is all set to break many more records. According to movie-ticket service Fandango, Avengers: Endgame, the culmination of the last 11 years of Marvel Cinematic Universe movies, has sold five times as many first-week pre-sale tickets as its predecessor, Avengers: Infinity War. Mark Ruffalo Claims He Shot Five Endings For Avengers Endgame and Captain America is Married in One of Them! 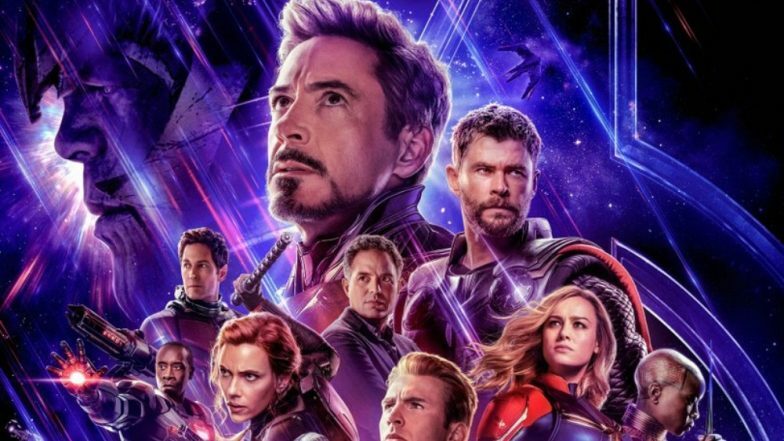 Avengers: Endgame is the 22nd MCU movie and all eyes are eagerly waiting for the release. Endgame will be about the answers, the revenge and the urge to bring back the superheroes. While Thanos has already wiped half the galaxy, including many of our favourite heroes, with a snap in Avengers: Infinity War, we hope that the Endgame will put an end to all the sufferings too!